Gourmet quality -no allergens, vegan friendly, diabetic friendly, athlete friendly. 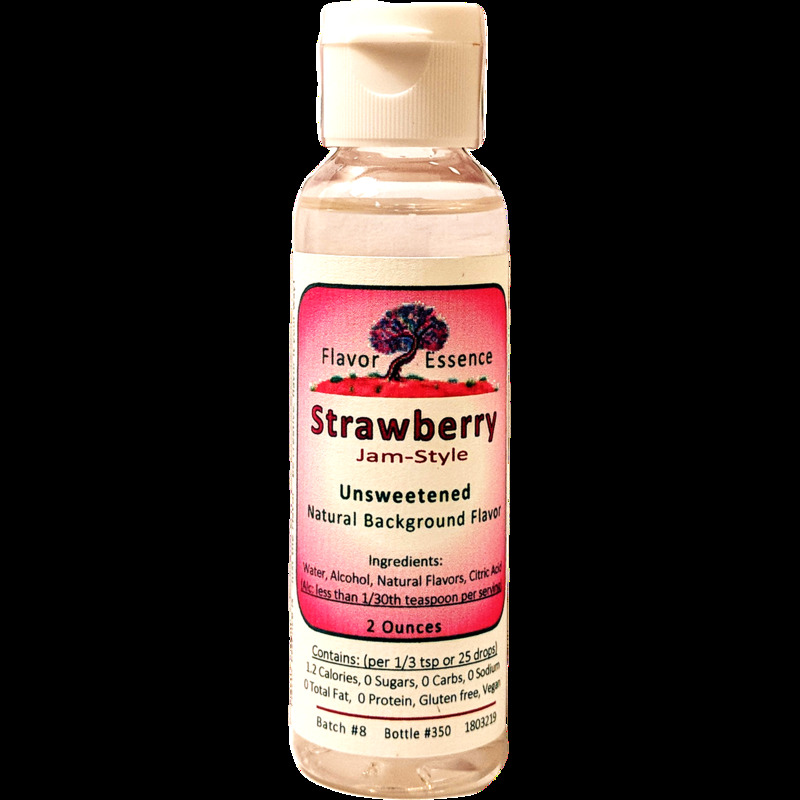 Its a fun & tasty background flavoring; but its still no nonsense--> "the flavor and just the flavor"
2 Oz bottles, with a flip top and a portion-controllable reducer so you can easily "flavor to your own tastes" in beverages or measure precisely into foods. Very portable, and easily storeable in the kitchen. *Usage 1--> [Will flavor about 30+ servings]. Squeeze & stir to taste into any beverage like coffee, smoothie, shake, cocktail or into prepared foods like yogurt, oatmeal. Also alter the flavor of whipped cream and maple syrup. * Usage 2-->[Will flavor about 12 batches] Dress up your pancake/waffle/crepe batters, muffin mixes, cookie doughs, cakes & frostings. I was looking for a new way to enjoy vanilla water as my usual brand changed their recipe (at least my tastebuds think they did). I put 14 drops into 24 oz of unflavored seltzer and it was fabulous. I’m now shopping for new flavors. I love the personal note enclosed in the order, such a sweet gesture. I LOVE the pineapple in my water and have tried so many other flavors, haven’t found one that I haven’t liked yet. I am obsessed with these flavors! I haven't dabbled with adding them to baking recipes yet, but they are amazing in my seltzer and fun flavored cocktails. Thanks Mick!! I love this stuff! Just ordered a 5 pack before my first bottle runs out. Please add a hazelnut flavor, and a butter pecan. The flavors that I have used so far are...: Pineapple, maple, coconut, toasted almond, custard creme, and caramel creme brûlée. And I use the flavors in...: Coffee, steamed milk, and water. Also, my great uncle Derek Owen lives in Hopkinton at Owen Farm. Small world! Lol. Copyright 2015 Flavor Essence. All Rights Reserved.